Dalliance Script is based on the elegant handwriting found on a map of a battle between the Habsburg Coalition and France which took place at Ostrach, in southwest Germany, in 1799. What struck Heine was how the elegant handwriting on the map, common for its time, stood in stark contrast to the horrific content. From a formal point of view, Heine was impressed by the imperfections of the handwriting and by the compromises the writer had to make in lettering the map, which were intensified by a rough photocopy quality, as the designer did not have access to the original map. Heine preferred this poor quality reproduction over the more common perfected hand lettering art of those times, because it allowed more freedom as an inspirational source—a better starting point for developing one's own ideas than a well defined existing lettering sample. The process of detecting the concrete letterforms started with the construction of a monoline to describe the basic form and using this to create the desired minimum stroke weight, then adding the heavier parts. The outline sketches served as background layers to approximate and reveal the final shapes. 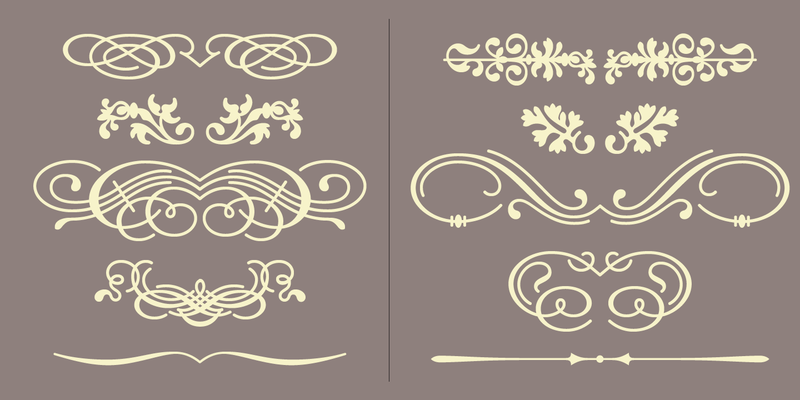 Sometimes the final character shimmered somewhere between these multiple outline structures. 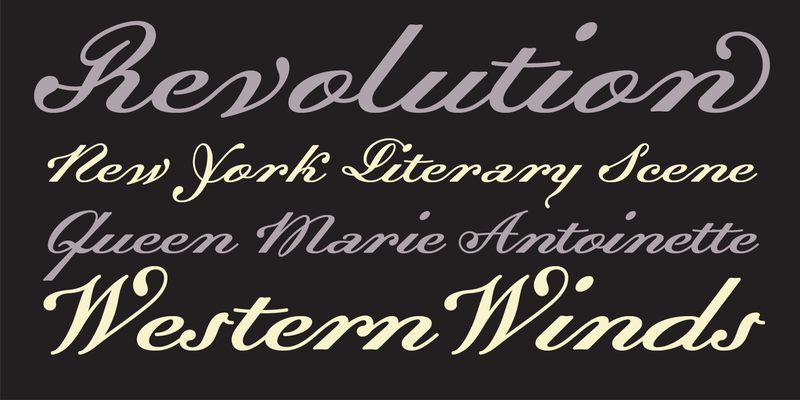 In order to turn Dalliance into a fully functional typeface family a Roman companion was added which developed quite easily and harmoniously from the script model. To make the roman a more legible typeface, some script forms could not be transferred directly (such as m, n and most of the upper case letters), but many characters could be drawn quite closely to the italic model, yielding a comprehensive look and distinct character. 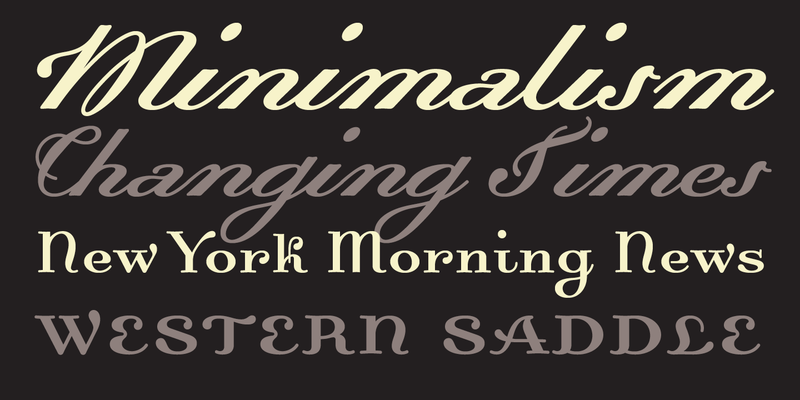 A script variant for display sizes was added as well as numerous Ligatures, Fractions and Floral Ornaments. 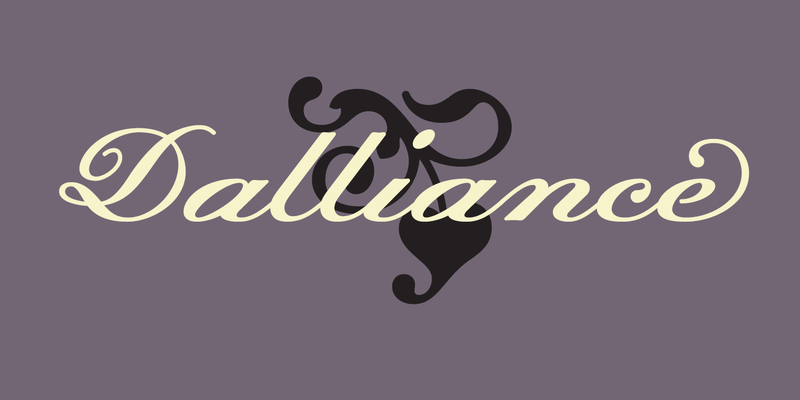 For more information about Dalliance, download the free type specimen.